Network switches, load balancers, and routers typically sit at the top and back portion of the rack. 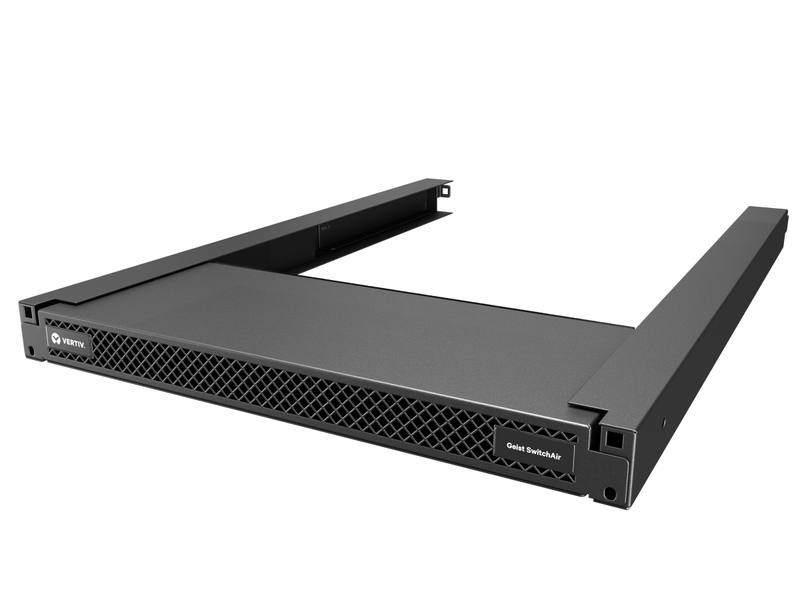 This placement makes it difficult for cold air to travel from the front of the rack to the air intakes of the network switch equipment, increasing chances of failure over time. SwitchAir helps prevent failure by channeling cool air from the front of the rack to the air intakes regardless of where the equipment is mounted. 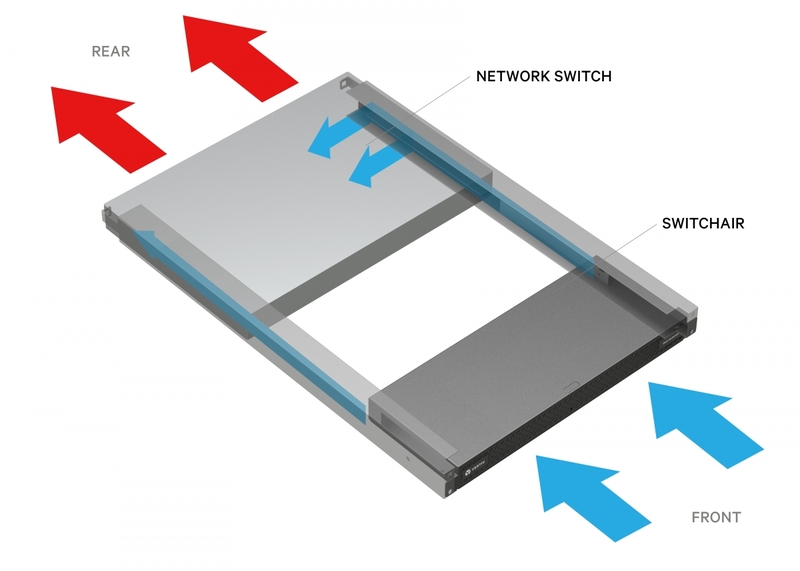 Reduces the chance of network switches overheating by directing cool air to device intakes. Reduces the likelihood of premature equipment failure due to high intake temperatures. Improves equipment efficiency by providing network equipment with the same cold aisle temperature as other devices in the rack. Decreases wrap around hot airflow from the hot aisle to the cold aisle due to missing blanking panels. Passive 1U airflow management device for switches with air intake on both sides. Includes New Build channels for mounting switch. © 2019 Vertiv Co. All rights reserved. Vertiv, and the Vertiv logo trademarks or registered trademarks of Vertiv Co. All other names and logos referred to are trade names, trademarks or registered trademarks of their respective owners. While every precaution has been taken to ensure accuracy and completeness herein, Vertiv Co. assumes no responsibility, and disclaims all liability, for damages resulting from use of this information or for any errors or omissions. Specifications are subject to change without notice.